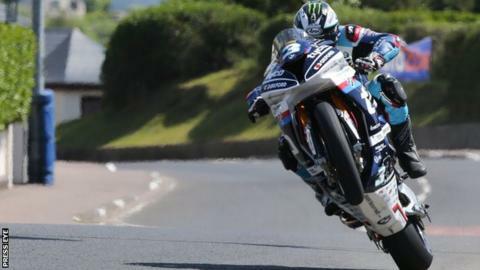 Michael Dunlop, Peter Hickman and Dean Harrison have confirmed their entry for the 2019 Isle of Man TT. Last year's champions will be joined at this summer's event by multiple TT race winners John McGuinness and Ian Hutchinson. Both McGuinness and Hutchinson will be making a full-scale return from injury, representing the factory Norton and Honda teams respectively. Conor Cummins will take the number one plate for the second successive year. Harrison will follow him at number two on the Silicone Engineering Kawasaki, with 23-time TT race winner McGuinness in his favoured number three and Hutchinson again sporting his preferred number four. Dunlop - a triple-race winner last year - will take his familiar starting position at six, with outright lap record holder and last year's Superstock champion Hickman starting at 10. Completing the top-10 line-up in the three 1000cc races are TT winners James Hillier (five), Gary Johnson (seven), Rutter (eight) and David Johnson (nine). Meanwhile, Gary Johnson is a among a quartet of riders who will compete for KMR Kawasaki in the lightweight race at the TT. Derek McGee, 2017 lightweight winner Michael Rutter and Lee Johnson will also ride for Ryan Farquhar's team in the race. "The line-up we have with the four riders gives us a great chance of victory, and all four of them have the ability to win the race," said Farquhar.